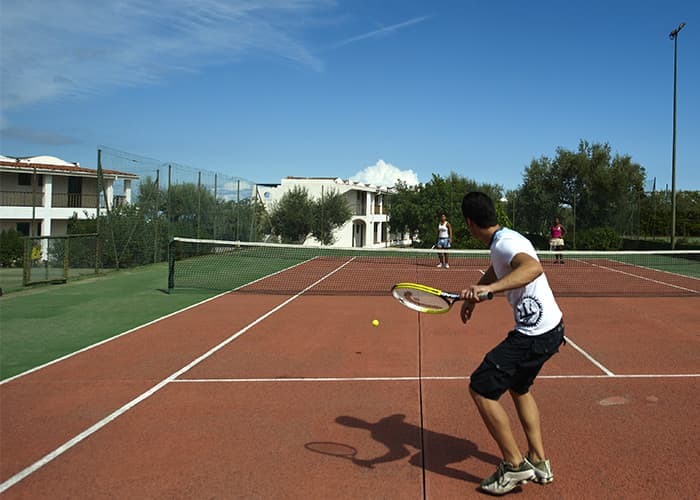 Sports and entertainment activities, bar and swimming-pools. Discover all our suggestions for a perfect holiday. The wellness and fun area is the heart of Torre Normanna Resort in Sicily, where all the daily activities goes on and where all the guests get in touch with each others two swimming pool surrounded by an english garden and its solarium, equipped with sun beds. 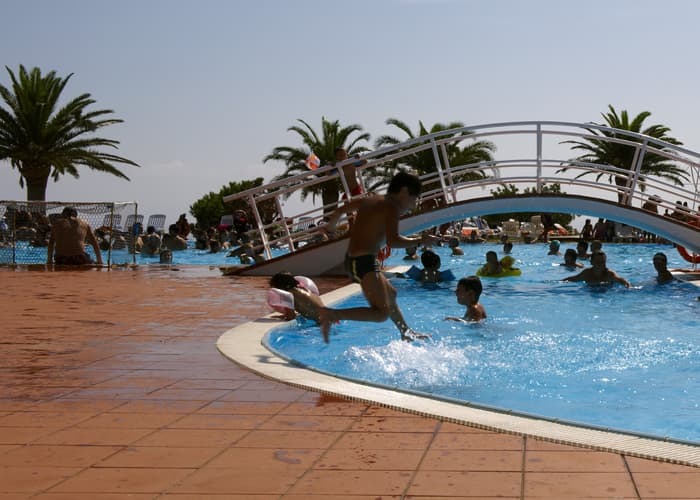 A swimming pool is dedicated to children and the mini club with also an open air space dedicated to the children entertainment. An equipped Gym is ready to welcome the most sporty clients. The big open air theatre were the night shows by the entertainment staff goes on is the heart of the Resort experience. Dancing floor for the night owls, desk and info point with the wonderful girls of the staff. “Al Carrubo” bar of Torre Normanna is the place where everybody meets. During the day drinks, ice cream, snacks and chats under the carrubo tree, as well as games and activities such as acqua gym and group dance, dance courses, competitions, sport challenges and more. Get involved into our Entertaining world, they will let you have fun, through activities, games, competitions, parties and more. 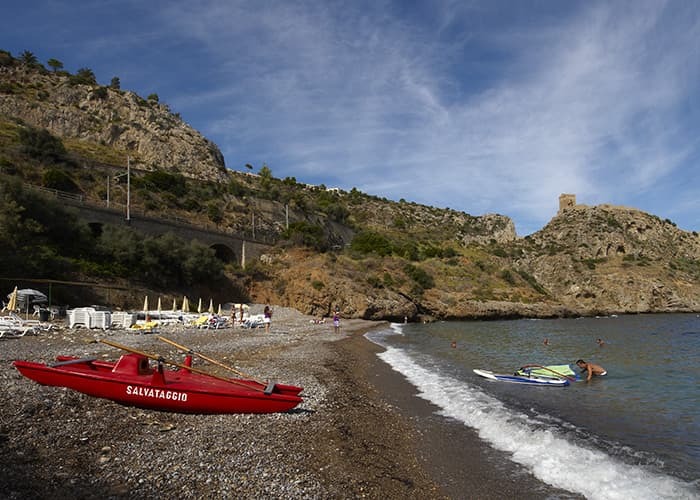 The private beach of Torre Normanna exclusively for Hotel and Resort guests is reachable by two elevators built inside the promontory rocks and through a tunnel of 30 mt. Sun beds, umbrella, safe guard, bar and nautical sports are available for any guest.